Professional security guards with experience and integrity. Mobile patrols and static guards. Full service security company. 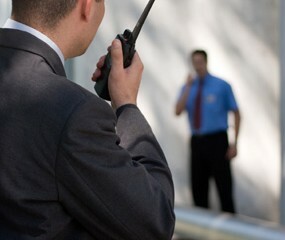 Are You Looking For Professional Security Patrol Services? Why Choose Gold Coast Security Patrols? Our mobile response team have a proven record that we are very proud of. Our reputation is second to none in the security industry as we ensure that all security patrol duties are carried out with the utmost professionalism by experienced security professionals operating the latest technology and modern security equipment. Here at Gold Coast Security Patrols we provide our clients with the peace of mind, support and accessibility that they need. For us, honesty is the only policy we are transparent and we strive to carry out all duties on time, with integrity and to the highest standards every time. We only employ members of security staff that are true security professionals. All our guards undergo continuous training on all aspects of security work and procedures. Our static and mobile security guards take pride in their work ensuring that our client's and our own reputation stays firmly intact. With our every increasing client list, contract renewal rate and glowing testimonials from companies that you know, you can be confident that you are working with one of the most talented and trusted security companies in Australia. Not only do we use the best technology and tools available, we also breed and train our own security dogs for our K9 patrol teams and several police departments. Our staff ensure that all security jobs and reasonable requests are completed on time for our clients including full and accurate security evaluations, reports and all documentation. We pay close attention to the details ensuring all relevant paperwork is completed and processed correctly. 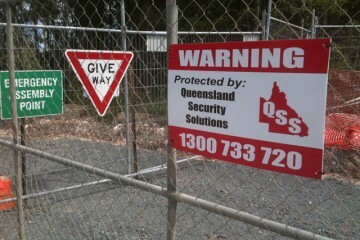 Security Solutions from Gold Coast Security Patrols. © 2015 QLDSS. All rights reserved.